Britain's first gold of the day came in Rowing at Eton Dorney as the men's four of Andy Triggs Hodge, Pete Reed, Andy Gregory and Tom James led from the start to triumph. 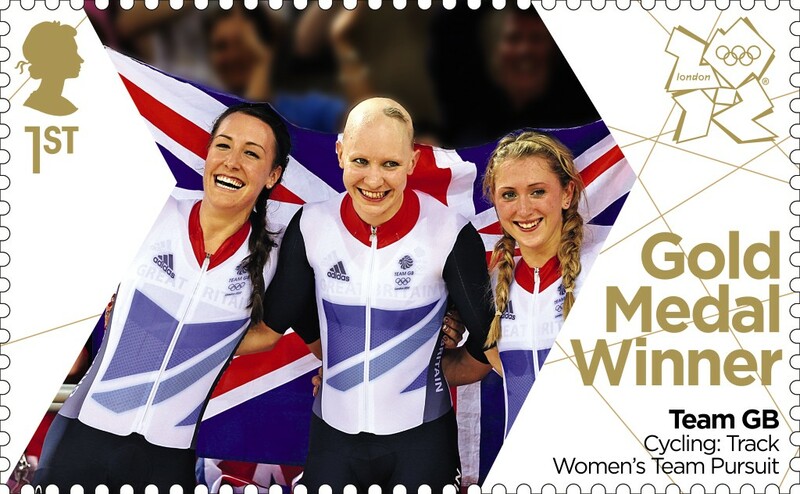 In cycling Laura Trott, Dani King and Jo Rowsell crushed the United States to win the team pursuit. 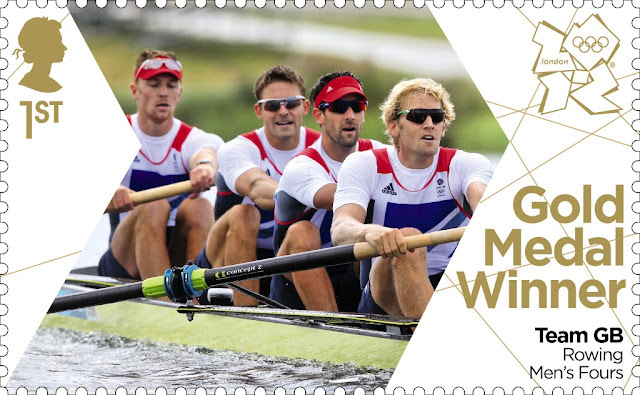 They claimed victory in a time of 3:14.051 to set their sixth successive world record. Later, at the Olympic Stadium, Jessica Ennis, Greg Rutherford and Mo Farah capped a historic day - the best ever for GB athletics - by winning the heptathlon, long jump and 10,000m in front of 80,000 jubilant spectators. 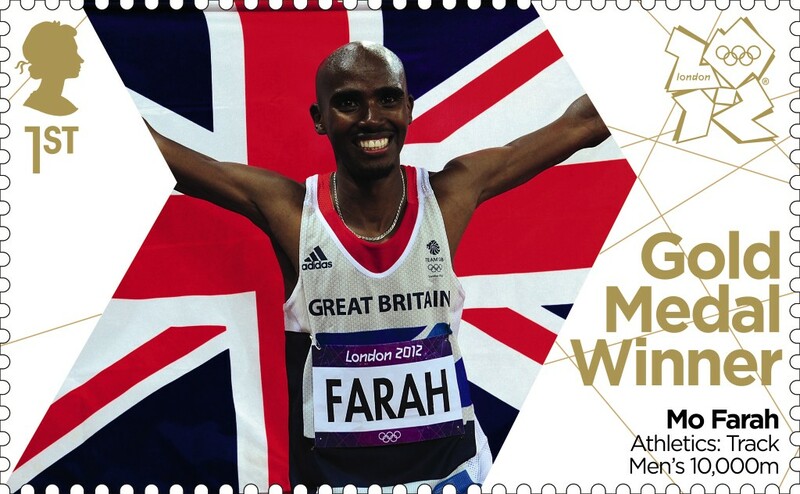 It was a late night, and all the stamps were at the post office locally by 11.30 am. I've found both @postoffice and @royalmailstamps very responsive on twitter. Not since the 1966 World Cup issue have they had anything with quite as much interest, and with the lack of interest in special stamps over the last few years, coupled with huge increase in contract post offices (in WHSmith, Lloyds Pharmacy, Co-op) over the last 10 years, it's not surprising that there are some misunderstandings over this. It's a shame it has adversely affected the experiences of some customers, both collectors and non-collectors. There were no queues at Dereham this morning but quite a few people were coming in for the stamps (and to post parcels!) - and not everybody will have been aware that the PO was open today. ALSO OF INTEREST - On the first day of issue I was give Miniture-Sheets which were slipped into a PO Travel Money wallet at the currency exchange counter at URMSTON. 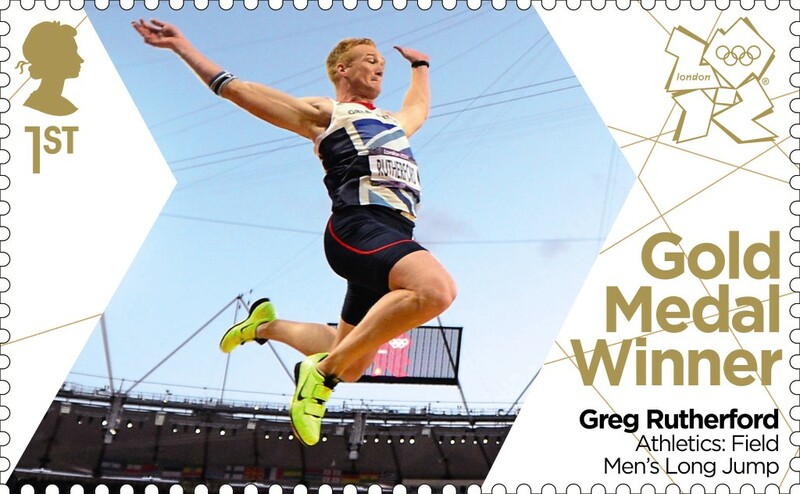 However, on day 2, I was presented with the mini-sheets in specially designed GMW Envelopes. My brother said the Hyde and stockport POs only had FDC envelopes at a cost of 30p. Post Office Counters confusion. I have ordered a set of the stamps from Royal Mail. 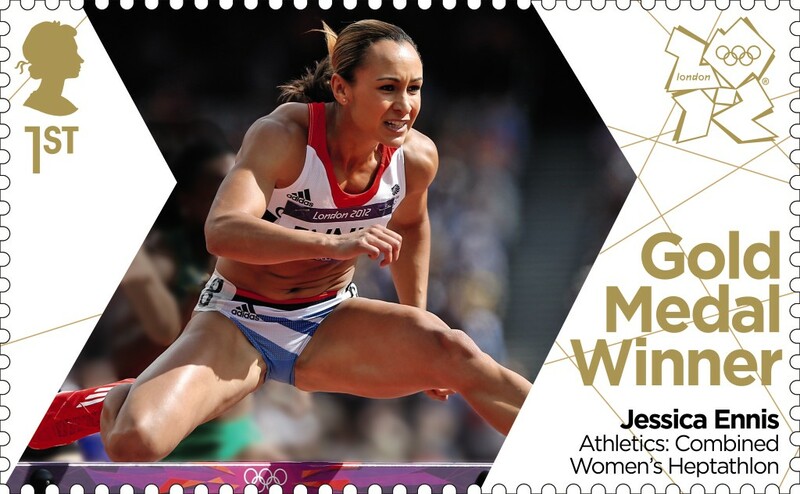 However, I decided today to buy an 'extra' full sheet of the Jessica Ennis stamp. I went to Hyde P.O. and they said "Sorry, we split up all our sheets so no full sheets of 24 are available". They rang up Stockport for me and it is the same story there. The staff at Hyde then informed me that they had not been given any guidelines to follow and that they did not think anyone would want a full sheet. 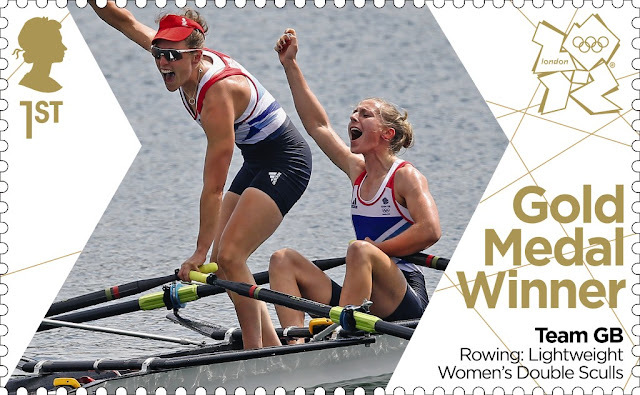 You can draw you own conclusions as to how good Royal Mail is handling this stamp issue. Fortunately, my brother can get me a sheet from Urmston. This is comment 1 which was deleted by Erik - in error I presume as this is the same message. Please see my reply at the top of the comments. My first comment deleted (not an error)to make spelling changes and then resubmiitted.